GRIDWALL MESH PANELSHigh quality and strong mesh panels. A simple and effective display solution at budget prices. Use free-standing with base stands or incorporate in wall displays using special wall fixing brackets. Sizes: 600x1200, 600x2000, 1500х1000, 1500х800, 2000х1000, 2000х600 mm. 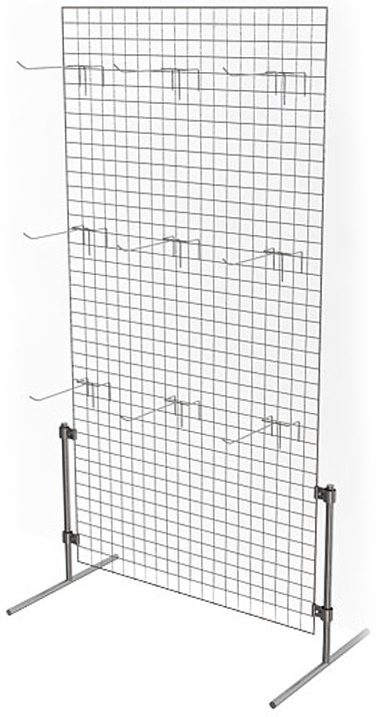 ABBOTT offer a wide range of gridwall accessories for mesh panels. Our in-house manufacture ensures low costs and an extensive range of designs to include hooks, brackets, baskets, holders and fashion accessories.